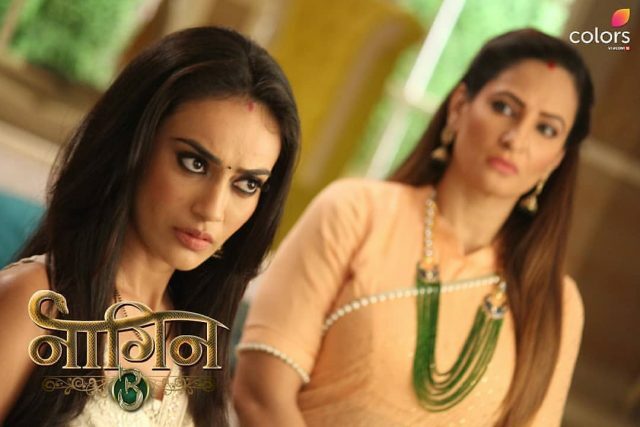 In the latest episode of Naagin season 3, 4th November 2018 Bela and Vikrant finds Polomi dead! Bela is shocked to find out that Vikrant’s mother is still alive and tries to find out who it is. Tonight the latest episode of Naagin begins with Bela told to Mahir that she will marry with Yuvi and asks him to let it happen since they are already divorced. She is very sad when she talks with Mhair. Mahir stands over there heartbroken and angry he never expects this from Bela, he then storms out. Yuvi hugs to Bela and told to her that she is made the right choice. Mahir walks restlessly in his room as Bela enters. He lashes that out at her and she whispers in a very little voice, asking him to wait. She turns up the volume of music in the room and explains herself to him. She tolds to him that she had to go with it to knew what his plan is but he refuses to understand. He tolds to her that the man is so clever and it is not possible for him to let her be around him. She assures him that he will never lose her and that her intentions are very clear with Yuvi. Bela was also so sad but she was not show anything in front of others. She tolds to him that she needs to know that why he shot her mother and what his plan behind this. She also asks him to support her throughout and that she needs his help. Mahir was very angry from Bela. He tolds to her that if he feels that Yuvi is going out of control, he will not be quiet. Precap: Vikrant tolds his mum that when Bela loses her powers and crown, then they will get Naagmani and everything. Mahir asks Bela to told what happened? Bela said that you do not know my one truth and if you come to know when you will not accept me. She hugs him.